The J W Keys Cleft Lip/Palate - Craniofacial Clinic is one of the oldest cleft clinic west of the Mississippi with formation and continual care of Cleft patient since 1959. The team has over 150 active patients and meets 12 times per year. The team has the ability to diagnose and treat all aspects of Cleft and Craniofacial Differences. The Clinic takes place in two different buildings on the OU Health Sciences Campus. Initially,at each appointment, the patient register and are evaluated at the JW Keys Speech and Hearing Center located in the College of Allied Health located at 1200 N Stonewall, Oklahoma City, OK 73104. The parking is located directly north of the Allied Health building. Your child needs a treatment plan that is individually tailored to his or her needs. Experts at the University of Oklahoma Cleft Lip/Palate-Craniofacial Team at the John W. Keys Speech and Hearing Center believe that a team approach, which combines the efforts of many specialists, is the best way to treat your child's condition. The team approach means more specialized care for your child born with a cleft. The cleft lip and palate team has members from oral and maxillofacial surgery, orthodontics, speech pathology, audiology, otorhinolaryngology, pediatric dentistry, and genetics. The reason so many professionals experienced with clefts are necessary is that the timing and treatment of cleft lip and/or palate is complex, and usually is not managed adequately by any one specialist. All of these specialists are available to evaluate you or your child at every team appointment. Our team is made up of a unique group of specialists, experienced in the evaluation, diagnosis and treatment of individuals with cleft lip and palate and other craniofacial anomalies. This dedicated group of health care providers are experts in their fields. They work together and with your pediatrician and other providers in your community to ensure the best possible long-term care for your child. Thus, all the specialists coordinate to meet the comprehensive needs of a growing child with a cleft. The team approach brings a broad perspective to bear on family, social, emotional, psychological, and educational needs. This team is based at the John W. Keys Speech and Hearing Center, Department of Communication Sciences and Disorders College of Allied Health. The Keys Cleft Team has been serving the needs of families since 1959 and is registered with the American Cleft Palate-Craniofacial Association. The cleft lip/palate-craniofacial team members at are always available to you. You may speak with us during your visits or call us from home. Do not be afraid to ask for any type of help you need. We want to help you as much as we can. Shelly D. Geddes was born and raised in Oklahoma and received a B.S. in Communication Sciences and Disorders from the University of Oklahoma in 2004 and an M.S. in Speech-Language Pathology from the University of Oklahoma Health Sciences Center in 2006. She is currently an Assistant Clinical Professor at the University of Oklahoma Health Sciences Center, John W. Keys Speech and Hearing Center, and an Affiliate Assistant Professor in Communication Disorders at the University of Oklahoma. She is the Clinical Coordinator of Speech-Language Pathology services at the John W. Keys Speech and Hearing Center at OUHSC, the Co-Director of the John W. Keys Cleft Palate-Craniofacial Team, and the Director of iLEAP (Interprofessional Language Enrichment and Prekindergarten Program). She supervises graduate students during treatment and evaluation of pediatric and adult clients with a variety of communication disorders, and she teaches undergraduate and graduate courses. Special interests include: evaluation and treatment of speech sound disorders including: articulation impairments associated with cleft palate and VPI, phonological disorders, and childhood apraxia of speech. Dr. Kevin S. Smith was raised in Oklahoma and attended under graduate college at The University of Oklahoma in Norman, Oklahoma. He completed his Doctorate of Dental Surgery at the University of Oklahoma College of Dentistry in 1988. Following completion of dental school with honors he was accepted into a one year General Practice Residency at the Veteran Administration Medical Complex in Houston, Texas. In 1989, Dr. Smith entered a four year residency in Oral and Maxillofacial Surgery at The University of Texas-Houston. During his residency he was involved with the cleft lip and palate team and performed numerous procedures regarding cleft lip and palate. This interest in cleft lip and palate care sparked the application and entrance into a foreign one year fellowship at The Royal Children's Hospital in Melbourne, Australia. During his tenure there Dr. Smith participated in the care of pediatric patients and had a special emphasis in on cleft lip and palate surgery and craniofacial surgery. Upon his return to the United States in September 1994, Dr. Smith was appointed assistant professor in Oral and Maxillofacial Surgery with appointments in the colleges of dentistry and medicine. 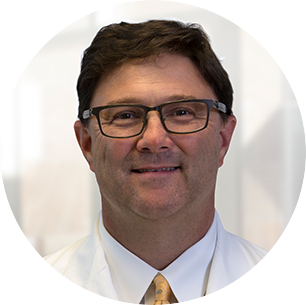 Dr. Smith also is involved with the craniofacial team at The Children's Hospital of Oklahoma and works extensively with the pediatric neurosurgeon on cranial, orbital and facial remodeling. Keeping with the Oklahoma pioneer spirit, Dr. Smith was the first in the state to perform Distraction Osteogenesis (bone lengthening) on facial bones and is very active in this new field of facial transformation. Dr. Smith has continued his service to cleft lip/palate and craniofacial patients with quarterly volunteer service to the Rotary International sponsored Thousand Smiles project in Ensenada, Mexico and traveled to Romania with the internationally acclaimed Operation Smile. Professor and Chairman, The University of Oklahoma, Oral and Maxillofacial Surgery, College of Dentistry, Professor of Surgery, College of Medicine. For Craniomaxillofacial Surgeon, Paul S. Tiwana, DDS, MD, MS, FACS, success is in the most exacting details. The work he does and instructs others in doing requires precision and expert execution. As a fellowship-trained surgical specialist in pediatric and adult facial skeletal reconstruction, Dr. Tiwana’s practice is focused on the correction of congenital, developmental, and acquired surgical problems of the mouth, jaws, face, and skull from infancy through adulthood. This includes the management of patients requiring orthognathic (corrective jaw) surgery, pediatric cleft and craniofacial surgery, craniomaxillofacial trauma, and maxillofacial cosmetic surgery. Educated in both dentistry (Northwestern University) and medicine (The University of North Carolina at Chapel Hill), Dr. Tiwana completed his residency in Oral & Maxillofacial Surgery and internship in General Surgery at the University of North Carolina Hospitals. While at UNC he also earned a research master of science degree in Oral & Maxillofacial Surgery and subsequently completed fellowship training in Pediatric Cleft & Craniofacial Surgery in Washington, DC. 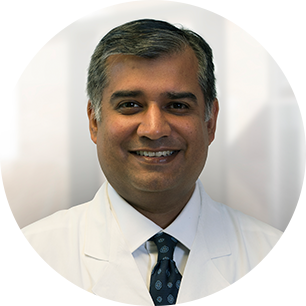 Dr. Tiwana is the Reichmann-Staples Professor and Chairman of the Department of Oral and Maxillofacial Surgery in the College of Dentistry at The University of Oklahoma where he is also dually appointed as a Professor of Surgery in the College of Medicine. He is frequently called upon to share his knowledge and expertise with professional audiences both nationally and internationally. In addition, as a widely published author he has contributed numerous journal articles/book chapters to the professional literature and is an editor of the internationally acclaimed textbook – Atlas of Oral and Maxillofacial Surgery. He is also Editor-in-Chief of Selected Readings in Oral & Maxillofacial Surgery. Dr. Tiwana has also received multiple national awards from related professional organizations and is a fellow of the American Association of Oral & Maxillofacial Surgeons (AAOMS), a fellow of the American College of Surgeons (FACS), a founding fellow of the American Academy of Craniomaxillofacial Surgery (AACMFS), and is a diplomate of the American Board of Oral & Maxillofacial Surgery (ABOMS). Dr. Tiwana wrote Atlas of Oral & Maxillofacial Surgery alongside Dr. Deepak Kademani. This practical guide offers detailed, step-by-step instructions and over 2,000 full-color illustrations that demonstrate how to plan for and perform oral and maxillofacial surgical procedures safely and efficiently. Jane Gray is Clinical Professor and Coordinator of the Cleft Palate/Craniofacial Team with teaching appointments in the Department of Oral and Maxillofacial Surgery and Department of Oral Pathology. She received her Associate's Degree in Science from St. Gregory's University, Associate's in Applied Science from Rose State College, B.S. in Allied Health Education, and M.Ed. in Adult Education and Community Service, both from the University of Central Oklahoma. With over 20 years of experience educating dental assistants, dental hygienists and dental students, she has received numerous teaching awards and recognition from both students as well as peers. While at Rose State College, she received the campus “Excellence in Teaching Award” and the “NISOD Excellence Award”. At OUCOD, she has received the “Outstanding Full Time Faculty Award” eight times and was also selected to receive the OUHSC “Good Teaching Award” in 2011 along with the “Dean's Service Award” for her contributions in the development of multiple community dental hygiene clinical rotation sites, in which students provide care for the underserved. 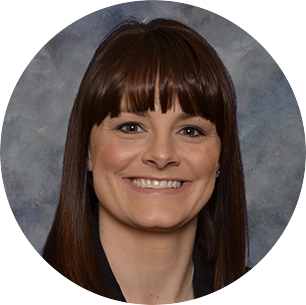 She has presented lectures and workshops at the national, state and local level, and currently teaches didactic and clinical courses at the OU College of Dentistry.